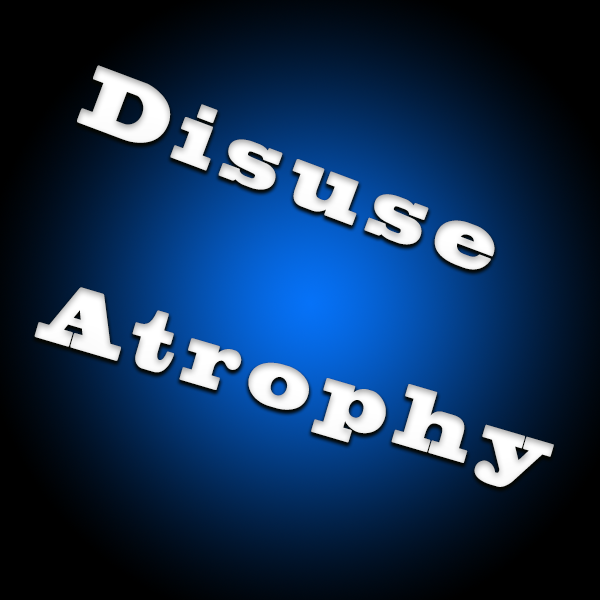 I leaned a new term today, disuse atrophy. It’s good to understand, so that we learn a lesson. Hello there fellow traveler! I have good news and bad news. This is an important phrase in our constant quest for health and happiness. We are attracted to complacency because all animal life struggles for happiness and well a sense of fulfillment. Additionally, we positioned ourselves to stay happily ensconced in our homes and jobs. We won the battle for comfort—now we need to win the war on staying healthy and being vibrant. While it is good to avoid tension and be content, we must find ways to stay healthy. Now we need to embrace some new thinking about our bodies—and willingly take responsibility for physically stressing ourselves. This can and should be fun—and extremely rewarding. Nothing in this world can bring more happiness than a healthy body. We have problems staying healthy if we don’t stay physically active. We must keep our bodies strong, even if we are not doing physical work for a living. Now we need to work at doing what simply must be done—we need to keep ourselves from the terrible problems of disuse atrophy. Please bring happiness to others.